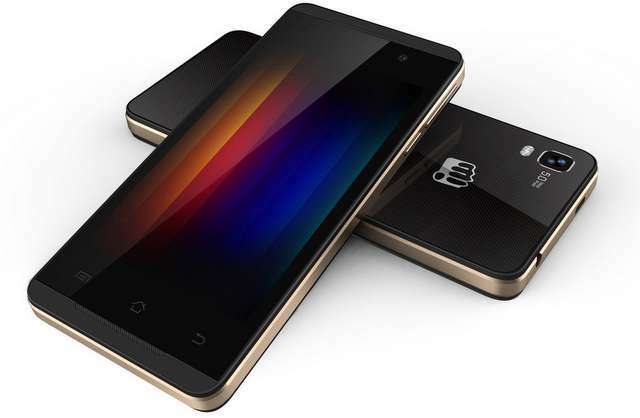 Micromax Canvas Fire A093 has been launched at price of RS6299. The new Canvas Fire A093 runs on Android Kitkat OS and is powered by 1.3GHz quad core CPU. Overall the features of the Fire A093 are good but the only 512MB of RAM and Fixed focus camera would make you despondent. It would compete with VS Videocon A29, Micomax Canvas Entice A105 and Karbonn Titanium S1 Plus. The MMX Canvas Fire Ao93 has 4 inch display with 800 x 480 pixels resolution. It is a dual SIM phone like its brothers , the Canvas Unite 2 A106 and Unite A092. The Unite Ao92 also lacks the AF and runs on Android 4.3 Jelly bean. The A-093 has 4 Gigs of internal storage out of which 1.5GB is available to user and the rest is assigned for installing apps. It offers 3G, Wifi, Bluetooth, GPS and micro USB connectivity , no info on USB OTG. It houses 1750 mAh battery which offers 180 hours of stand by time and 7 hours of talktime. It also features Dual Frontal Speakers and comes pr loaded with 21 Languages. As per the details on Russian WEBSITE, Micromax would also launch Canvas Fire A104 with 4.5inch display, 1.3ghZ 4-CORE cpu AND dual FRONT STEREO SPEAKERS. You can Buy it online from Infibeam for INR 6999. It would be soon available from Amazon, ebay and Flipkart.